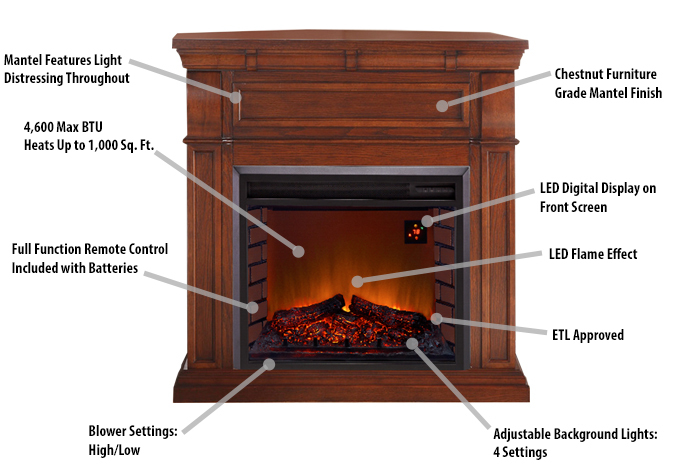 This Duluth Forge Electric Fireplace instantly adds warmth and elegance to any room and is quite simply a beautiful and versatile piece of quality furniture. This electric fireplace can live in an antique, modern, bohemian, industrial, minimal, or any other type of home. The fireplace has been carefully designed and created using furniture quality materials and finishes in a rich golden-brown furniture grade finish with 30% sheen that accents its quality and excellence.